In this season of purging (and culture of identity theft), I have to admit the acquiring of an electric shredder has changed my life. 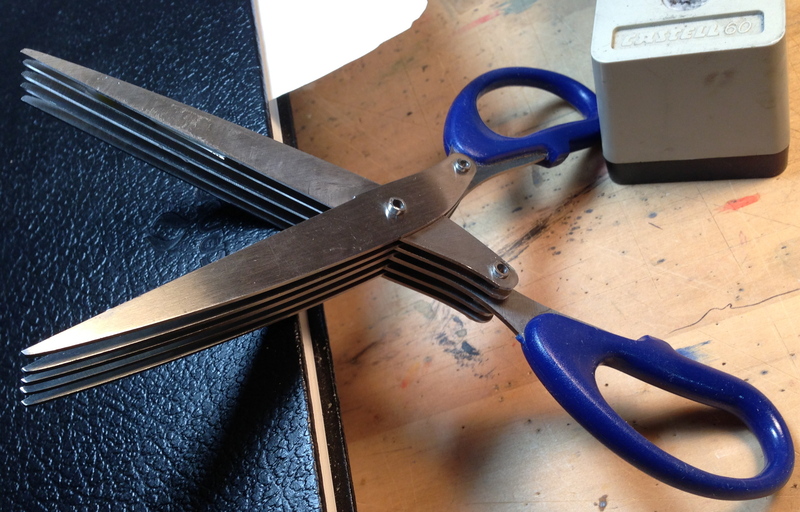 I used to use the shears pictured below for sensitive documents, but after clearing out the file cabinets it was clear something more heavy-duty was required. The shredder’s whirring is almost addictive as I work to feed its insatiable appetite no more than 25 times per day (I got the light-weight machine). 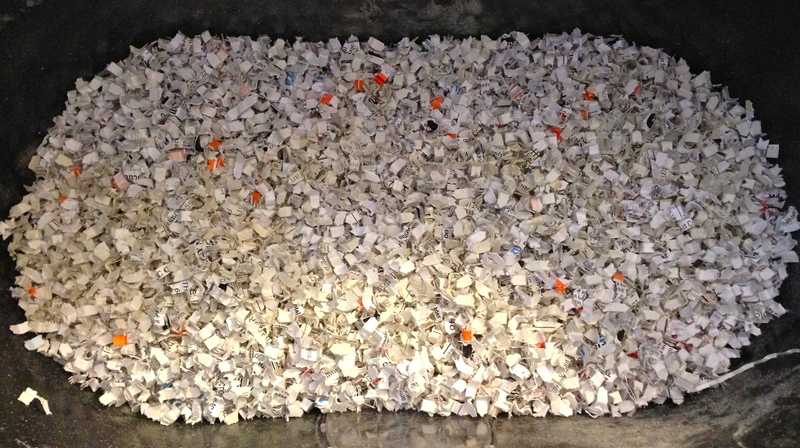 Of course my collector and creative self has thought that the shredded results would make great papier-mache pulp, but I immediately stopped myself and filled a garbage bag with the shredder’s digested bills and old tax forms and ran to the garbage outside before I had time to change my mind. This entry was posted in home and tagged identity theft, organization, papier mache pulp, purging, shredder. Bookmark the permalink. I hope you haven’t discarded you low tech shredder. It looks very much to me like our herb cutter. Wonderful way to “shred” basil leaves, or rosemary, etc.